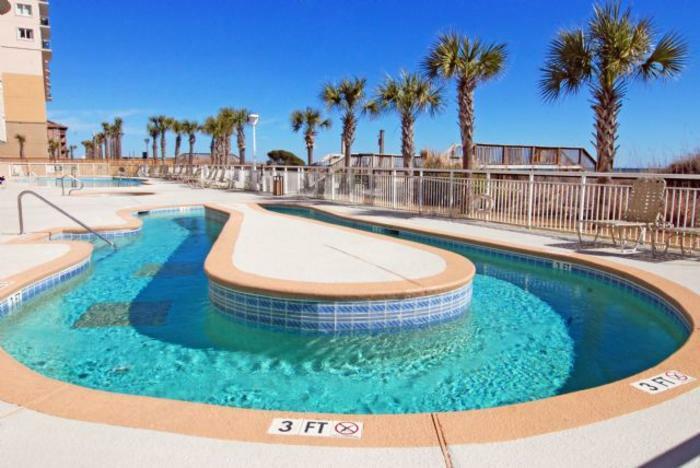 Fantastically located overlooking the Atlantic Ocean Southshore Villas is a North Myrtle Beach resort that offers a three- or four-bedroom, three-bath North Myrtle Beach vacation rental in a pristine section of North Myrtle Beach, South Carolina, the Crescent Beach neighborhood. These modern and top-of-the-line North Myrtle Beach rentals feature a dishwasher in the kitchen and a washer/dryer unit in the vacation condo. There is high-speed Internet access in these North Myrtle Beach condos and at least one DVD player. Accommodating sleeping arrangements, dining area, well equipped kitchen and an oceanfront balcony that gives your family a terrific view of the sea, Southshore Villas is a memorable North Myrtle Beach vacation choice that is also close to Myrtle Beach golf, live entertainment theatres and seafood restaurants. Experience what it is like to enjoy carefree living on the oceanfront where never ending waves crash against the shore. Crescent Beach is a family-oriented beach. From this sweet spot along the North Myrtle Beach, SC coastline, your family will be only a short drive away from some of the best North Myrtle Beach attractions and Myrtle Beach amusements. Take your pick from multiple shopping complexes that feature name brand stores not typically found in the malls. We have outlet shopping where bargain seekers hunt the best treasures and Myrtle Beach has a large mall by the airport that might take all day to walk through. Live concerts, musical productions, Broadway shows and holiday specials are in theatres up and down the North Myrtle Beach, SC area. Widely known for its 100 golf courses, Myrtle Beach, South Carolina is also a renowned golf destination, so do pack your clubs and hit the links. Get back to nature on your North Myrtle Beach vacation and visit both of the oceanfront state parks that are in the area, rent a kayak and explore the salt marsh creeks, go on a deep-sea fishing charter and reel in the catch of the day and visit Brookgreen Gardens, a world-renowned sculpture garden. From hands on activities to sightseeing tours, North Myrtle Beach vacations overflow with family opportunities. It is a wonderful place to create new memories and a beautiful place to spend a North Myrtle Beach vacation. Elliott Beach Rentals is not affiliated with onsite management or the HOA of Southshore Villas.